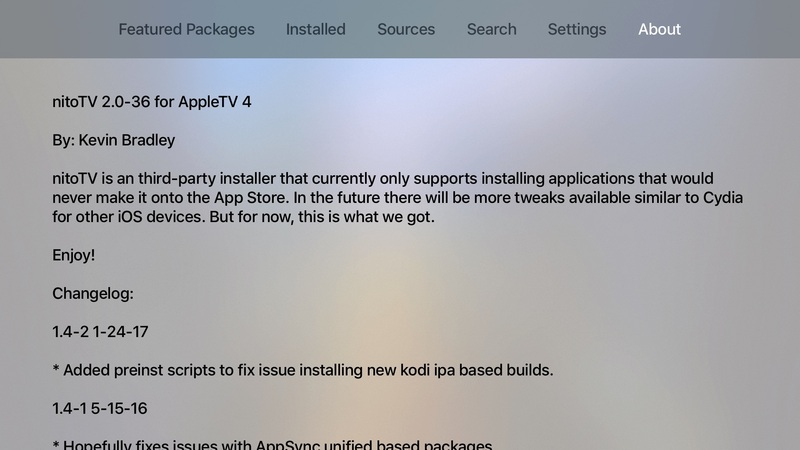 A few days ago we wrote about the release of nitoTV, Kevin Bradley’s package manager for jailbroken Apple TVs. Today, we’ll give you an in-depth look at the interface and functionality, as well as our comments on where it could go in the future. 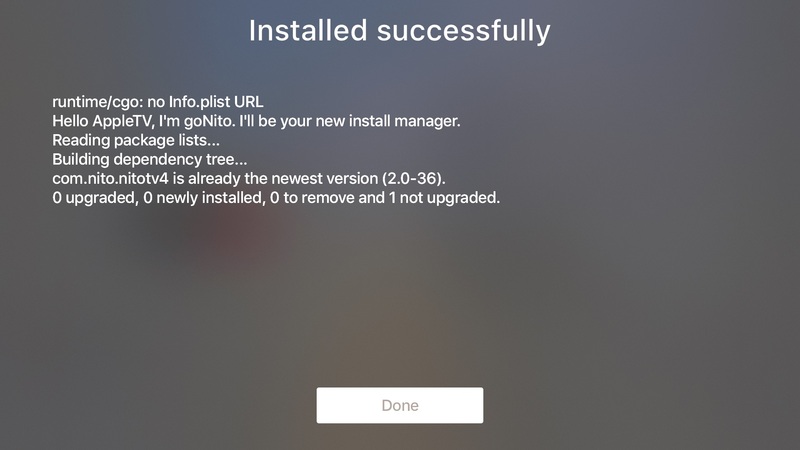 nitoTV allows users to install tweaks and unsigned apps to their Apple TVs, much like Cydia does on iOS. 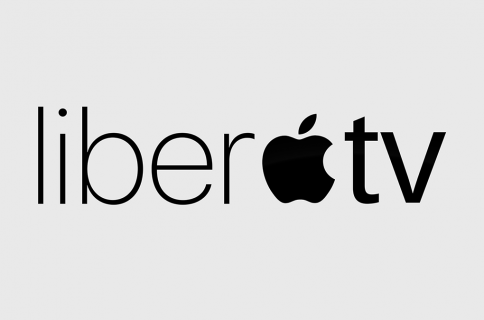 It requires a jailbreak to work, and currently supports the Apple TV 4 on tvOS 9 (through Pangu), tvOS 10 (through LiberTV10), and tvOS 10.2.2 (through greeng0blin). Support for the Apple TV 4K on tvOS 11.0-11.1 is due to arrive in a future update to nitoTV. To find out if you can jailbreak your device, check our advice on the subject. To jailbreak tvOS 10.2.2 with greeng0blin, follow our guide. To jailbreak any other supported firmwares, use the Mac installer from the nitoTV website. 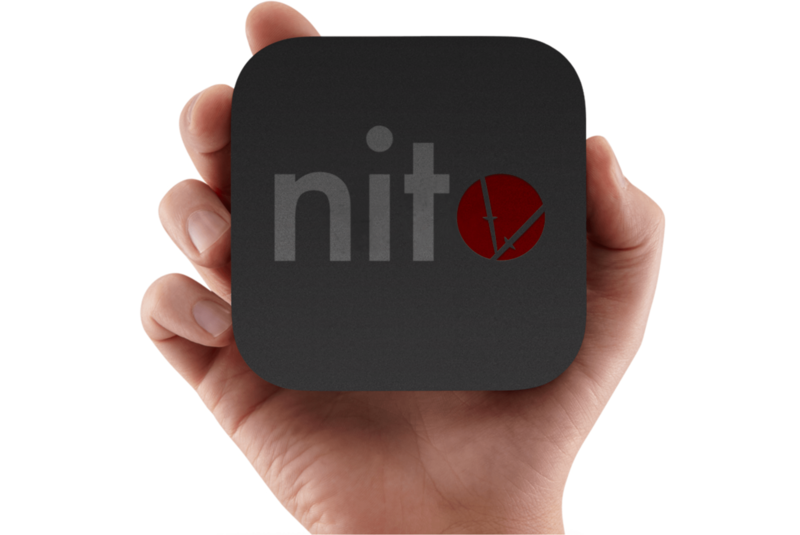 Upon launching nitoTV on your Apple TV you’ll be greeted by the Featured Packages page, a curated selection of apps. 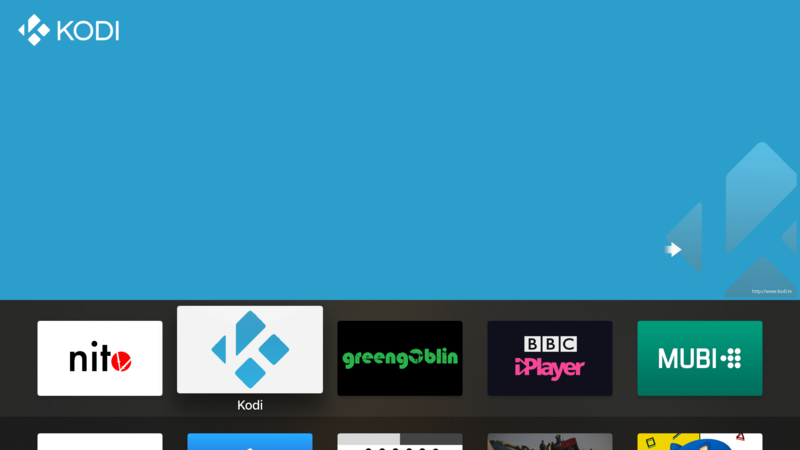 Favourites such as Kodi can be found here, as well as various games and media solutions which Apple would not accept on the App Store. The layout is much the same as the App Store itself, featuring Top Shelf images for each app and individual information pages which can be viewed when selecting an app. With luck, this page will become increasingly populated as developers start to build for the platform. The adjacent tab is Settings, housing several useful options. 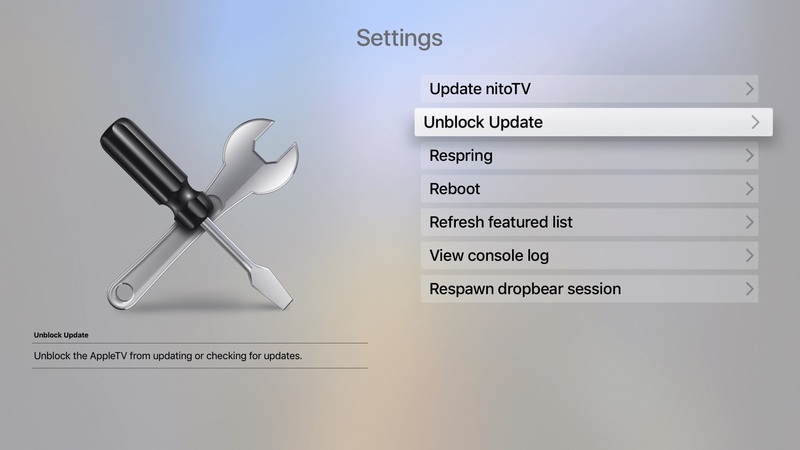 Here you can update nitoTV itself, prevent your Apple TV from updating (a very handy feature given the device’s propensity for unwanted updates), respring and reboot your device, and more. In my testing, all of these options worked flawlessly, not bad for an initial release. Next up is a Search tab, and then a page which will be familiar to all Cydia users: Sources. 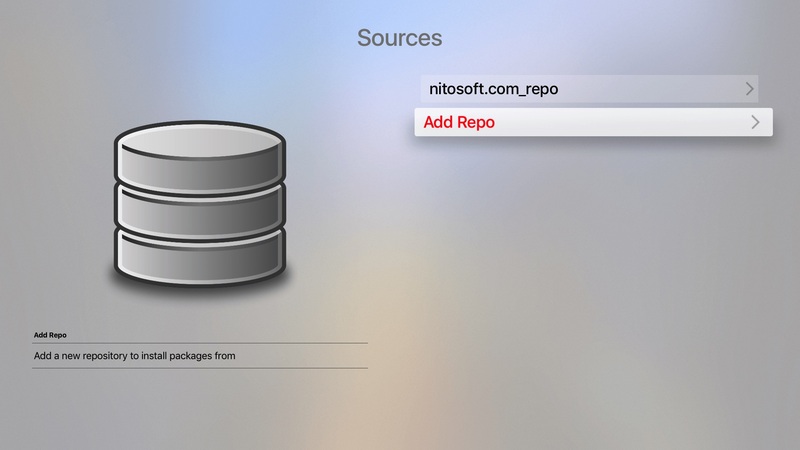 This is where third-party repositories will be added, in order to download packages from other developers. This is one of the few parts of nitoTV which did not seem fully functional yet, but there is a good reason for that: there aren’t yet any other developers, packages, or repositories made for the Apple TV/nitoTV, so we’ll have to give it some time. The final tab is Installed, which lists all the current packages on your device. The same as Cydia’s Installed (Expert) listing, it shows required system packages too. 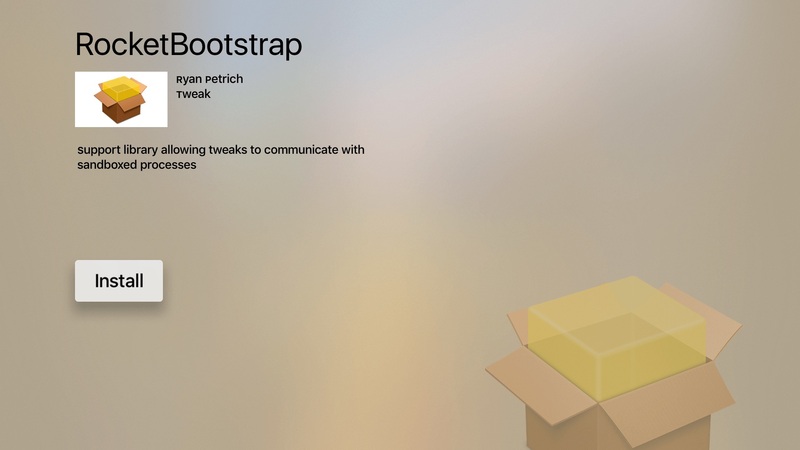 Many of the packages, such as Cydia Substrate and dpkg, will be familiar to iOS jailbreakers, as they are essential to both platforms’ infrastructure. Selecting Install, Uninstall or Update takes you to a loading screen as in Cydia where the progress of the installation is shown, as well as a helpful summation of the number of packages added, altered, and removed. I didn’t have any trouble in my testing with any of these features. All of my installations and uninstallations completed smoothly with helpful readout. All apps installed by nitoTV are not subject to Apple’s signing restrictions, which means they do NOT need re-installing every seven days. This is a massive upside to having an Apple TV jailbreak, though please note that the apps will only launch when in jailbroken mode. My initial impressions of nitoTV have been very favourable. It’s clear that the long delays to its release were not in vain, and that stability has been a key priority for the developer throughout. The range of firmwares supported for an initial release is also broad and helps the userbase by excluding almost nobody. There have been some reports of the Mac installer failing to work for users on tvOS 10.1, though I do not have a matching device to test this. It’s been added to the developer’s to-do list. 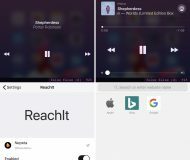 Although stability is very good, it will take a while to populate the platform more heavily with tweaks and apps. 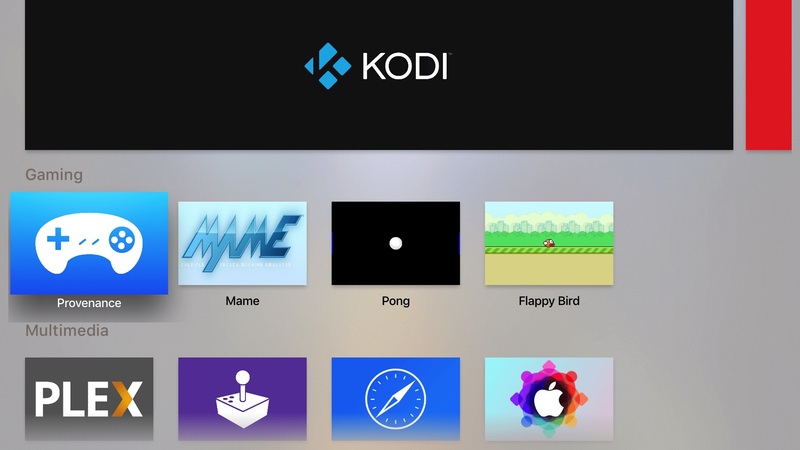 The current offerings include several classics (such as Provenance, tvOS Browser, Flappy Bird, and Kodi), but lack the range of system tweaks which Cydia users are accustomed to. Only time will tell if they will spring up. An AppSync equivalent for installing side-loaded or downloaded unsigned apps of the users choice (even if not hosted directly on nitoTV) without signing limits. This would be a major feature for this platform as it is very app/content-based. An App Admin equivalent for downgrading to previous versions of tvOS apps directly from Apple’s servers. This would be invaluable to users as they preserve their jailbreaks, as they would not be forced to upgrade to keep app compatibility, which seems to be dropped quickly in the tvOS ecosystem. A tvOS equivalent of Extender: Reloaded to help alleviate the 7-day signing restrictions placed on users without a paid developer account. This greatly increases the usability of a jailbreak for most users, and makes them more likely to use/remain in the ecosystem. 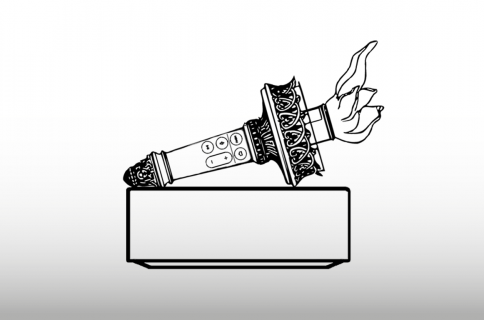 A tvOS VPN. This could be a port of Cydia’s existing offerings such as GuizmOVPN or an adaptation of a popular, configurable iOS VPN app, such as OpenVPN Connect. Perfect for privacy-conscious users, those who stream torrents, and those who wish to watch paid services such as Netflix or iPlayer whilst outside their country of residence. A nonce-setter which is run on each jailbreak. This might be better included in the jailbreak app rather than nitoTV, but in either case would give users a safety net in case of a boot loop and the ability to restore/upgrade their devices at a later date. On-device saving of blobs for the Apple TV, as provided by TSS Saver. This appears to be in development already and would perfectly complement the nonce-setting functionality. Controller support, much like Controllers For All provided on jailbroken iOS. Interface tweaks, themes, and back-porting of future tvOS firmware features. These are popular classes of tweaks in the iOS jailbreaking realm, and I could see them being ideal on Apple TV too. There are doubtless many more possibilities that I haven’t touched on here; let me know in the comments if you have more suggestions. With the features above, a few more key apps, and the upcoming support for tvOS 11.0-11.1, nitoTV looks capable of turning into a powerful and useful addition to the tvOS, and jailbreaking, experience.